Book review: How demands for treaty revision kept surfacing? Sparsely populated (1,37,000 as per 1951 Census), with three main ethnic communities - Lepchas, Bhutia and late entrant Nepalis, the 7096 sq km area of Sikkim was strategically located, bordering Tibet in the north and northeast, Bhutan in the east, Nepal in the west, and West Bengal in the south. Adjacent lay India’s Siliguri Corridor, the ‘chicken’s neck’ for transit to the Northeast. In 1947, though qualifying to sign an instrument of accession as one among India’s 566 princely states, Sikkim held out with three other states- Junagadh, Hyderabad and Kashmir, to bargain for special rights. As Pandit Nehru wanted to treat Sikkim as a special case, a ‘Standstill Agreement’ was signed with Maharaja Tashi Namgyal, the eleventh Chogyal in February, 1948. Sikkim’s Protectorate status was formalised under the Indo-Sikkim Treaty of December, 1950. The ‘dawn of democracy’ is a fascinating account meticulously chronicling not so well-known aspects of India’s initial appeasement strategy, stirrings of popular aspiration to join the Indian mainstream, fostered by leaders like Tashi Tshering and Kazi Lhendup Dorji, diabolical machinations of the twelfth Chogyal, Palden Thondup Namgyal to foil the same, and the role played by India’s Political Office (PO) there to eventually shepherd Sikkim’s merger with India, as its 22nd State. A rare insider account, written by GBS Sidhu, former special secretary, cabinet secretariat, who was posted in Sikkim as Officer on special duty (Police) from August, 1973- February, 1976, the book narrates in riveting detail how demands for treaty revision kept surfacing, due mainly to instigation by the Chogyal. Though political parties were formed, they could get limited powers in the Maharajah’s state council under the May, 1953 Proclamation. Tashi Tshering died in 1954, disillusioned by India’s ‘betrayal’. Three elections later, during the next two decades, clarity seemed lacking on the way forward. In December, 1972 prime minister Indira Gandhi called in R&AW chief, RN Kao and principal secretary, PN Haksar and complained that ‘the Chogyal was being difficult’, wanting every now and then to assert ‘full sovereign rights’. She asked `if something could be done about’ it. The ‘operation’ to change the course of Sikkim’s political evolution took shape on the basis of these discussions. This was not an ordinary intelligence collecting operation between the source and his handler, with the former getting compensated for services rendered. It was more of a collaborative effort with pro-democracy forces in Sikkim. Originally planned as a tactic to build pressure on the Chogyal even as he kept escalating his demands about signing a new treaty in place of the 1950 accord, it later assumed the objective of complete merger. The author headed a small three-man unit in Gangtok to accomplish the task, along with RB Pradhan, senior field officer and Myngma Tshering, deputy field officer. From time to time, they took instructions from R&AW’s Kolkata office, under PN Banerjee. Without blowing their cover, they tried to guide Kazi Lhendup Dorji and his followers to keep up the momentum of public speeches and resolutions through legislative forums demanding closer affiliation with India. They also dissuaded dissident activities and countered attempts by the Chogyal to forge disunity among pro – India politicians. The Chogyal’s aspirations could be partially contained through the May, 1973 agreement. In the April, 1974 elections Kazi Lhendup Dorji’s Sikkim Congress gained a landslide majority of 31 seats in a House of 32. Sikkim remained an ‘associate state’ under a new Constitution for an uneasy 13 months. In between, there were dramatic interludes, notably the Chogyal’s Nepal visit for King Birendra’s coronation, where he held a press conference demanding ‘preservation of separate identity and international status’ (March,’75), and the disarming of the Sikkim Guards under supervision by the Indian Army, just before formal merger in May, 1975. Sidhu narrates interesting facets of interaction between Indian diplomats at the political office, Gangtok with the Chogyal, the role played by Indian officers as ‘Dewan’ (first), later termed ‘chief executive’. Brijbir Saran Das, also an IPS officer from the UP cadre, held this post till almost the end. Though he knew about Sidhu’s R&AW connection, he was not aware of the merger plans. Ambassador KS Bajpai was political officer. Sidhu has high praise for him. Bajpai was in touch with RN Kao in Delhi but may not have fathomed all aspects of Sidhu’s task. Thondup (Chogyal) was met frequently by the author, ostensibly to brief him about Chinese activities across the border. Till the end, he could not identify his link with the operation and blamed mainly the Intelligence Bureau for his troubles. After Thondup’s second marriage to the American lady, Hope Cooke in 1963, Sikkim got a lot of international attention, especially in the United States. This was more due to Cooke’s behavior ‘as a queen’. The author does not believe she was a CIA agent, as has been sometimes speculated. Thondup and his intelligence chief, Karma Topden were already known to CIA officials in Kolkata’s US Consulate. In a way, both foreigner wives, of Thondup and Kazini (Eliza Marie Langford-Rae was Scottish, she married Kazi Lhendup Dorji in 1958) performed roles they believed would be helpful in furthering the respective agendas of their husbands. They remained mildly hostile to each other in Sikkim’s social firmament. The R&AW’s twenty-seven month involvement in the merger related special operation ended in May, 1975. The three–man unit was wound up. Maloy Krishna Dhar, Sidhu’s IPS (1964) batchmate joined as assistant director, SIB (Subsidiary Intelligence Bureau), Gangtok in June, 1975. In a chapter titled ‘Aftermath’, the author examines briefly the fate which befell Kazi Lhendup Dorji, now chief minister of Sikkim. Within four years, he became discredited as a ‘desh bechoa’. The author laments IB’s patronising of a former Chogyal acolyte, Nar Bahadur Bhandari in this context – described as Dhar’s ‘policy of running with the hare and hunting with the hounds’. The Kazi’s own ill-judged decisions to first merge with the Indian National Congress and later shift allegiance to the Janata Party in 1977, after they came to power in Delhi did not help. The Bhandari-led Sikkim Janata Parishad won 15 seats (out of 31) in the October, 1979 elections in the State. Kazi’s Janata Party did not win a single seat. This was a surprise for political observers in Delhi. 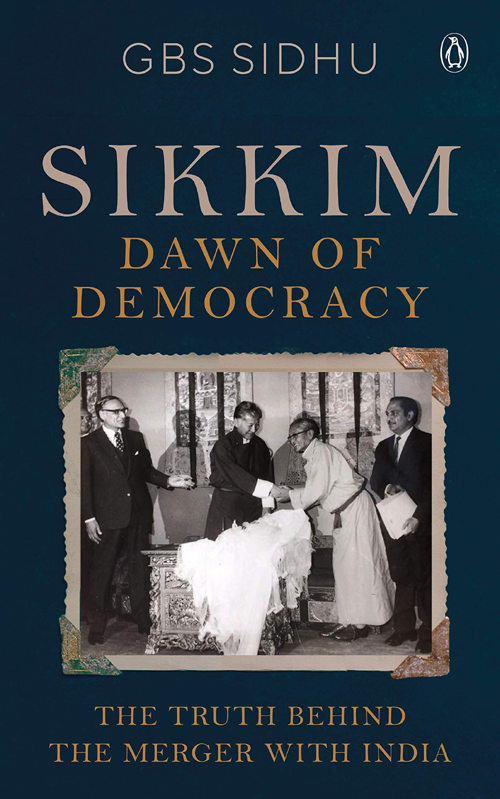 Though not mentioned in the book, the author wryly confided to this reviewer that the Intelligence Bureau assessment from Sikkim suggested Kazi’s party would win. The assistant director, SIB in Gangtok then was none other than our present NSA! These ironies notwithstanding, this book is essential reading for students of India’s history, especially those wishing to understand complex nuances of the ethnic and tribal mosaic of this strategically sensitive part of India’s Northeast frontier.